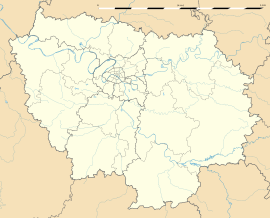 Faremoutiers is a commune in the Seine-et-Marne department in the Île-de-France region in north-central France. Originally named Evoriacum, Faremoutiers was renamed in honour of Saint Fara, who founded the Abbey of Faremoutiers there in the 620s. It lies in the historical region of Brie. Inhabitants of Faremoutiers are called Faremontais. Wikimedia Commons has media related to Faremoutiers. This page was last edited on 28 April 2018, at 21:43 (UTC).